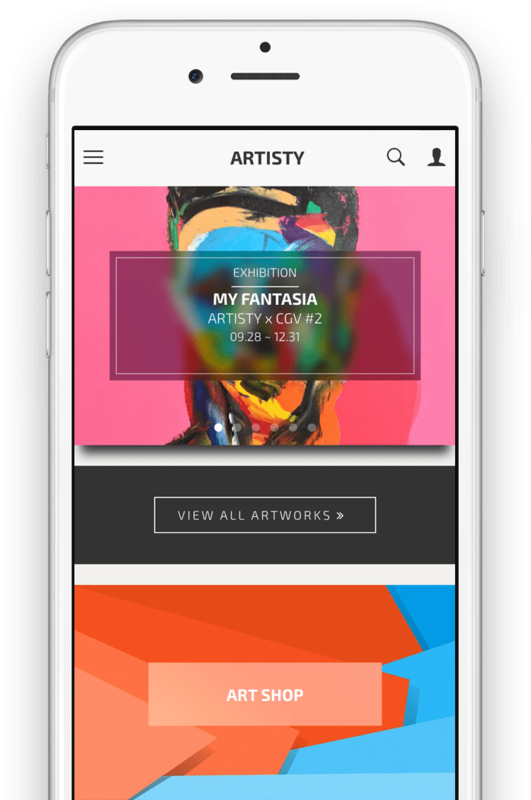 Artisty is a creative art platform for everyone where one can exhibit or discover the most creative and original artwork on a global scale. Interact with other artists and art appreciators to connect, share, buy, sell, and grow. Infinite artwork from emerging artist. Offline exhibitions by certified artists. Evaluated by our own curators and advisory panel. Offline exhibitions of emerging artists. Supporting and promoting emerging artists. Mobile application is available on stores. Artisty is open to everyone who has creativity. Bank Accnt. KB 358801-04-158401 ARTISTY Inc.
© 2016 Artisty Inc. All Rights Reserved.